If you visit HousingMaps.com, you'd think it was a joint venture between Google and the Craigslist classified ad site. But a notice on the site says that it "is in no way affiliated with Craigslist or Google." It was the creation of Paul Rademacher, a former DreamWorks software engineer. Rademacher's site takes data from Craigslist apartment listings and plots them on a Google map, creating a very useful site that neither craigslist nor Google had offered. Yet, Rademacher's site would have been impossible had it not been for the information supplied by these two popular sites. One could argue that Rademacher's site is parasitic, but don't worry. He isn't having to defend himself in court. Quite the contrary. Not only are both Google and Craigslist OK with him doing it, they're downright supportive. Craigslist founder Craig Newmark has been quoted as saying he's "appreciative" of the effort. Google must have been impressed. Rademacher now works for the search giant. HousingMaps.com is an example of a new type of Web site called a "mashup," which is a unique site that uses data from two or more other sites to add value to both of them. It's a relatively new phenomenon that some people are calling "the next big thing." Dan Gillmor, director of the Center for Citizen Media (housed at both Harvard and Berkeley) calls mashups "the Legos of the Internet except they don't all come from Lego. Anyone can plug anything into another piece." The term mashup comes from the music world where it means the combination of two or more songs to create a new musical work. Click here for Larry Magid's podcast interviews with the founders of some of the Internet's most popular "mashup" Web sites. Although many Web operators are more than happy to have their material "mashed" into another site, whether a mashup is legal or not depends, in part, on the cooperation of all involved as well as ones interpretation of our copyright laws. At a recent two day "Mashup Camp" a few hundred people who care about mashups gathered for what organizers called an "unconference." Unlike most tech conferences, attendance was free and the agenda was organized on the spot by those in attendance. The conference was informal, unstructured and very democratic. Support came form corporate sponsors including eBay, Microsoft, Amazon, Google and Yahoo. 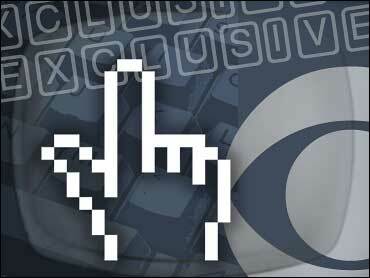 "None of the big players want to be left out of the game," said John Musser who runs ProgrammableWeb.com. "They're here to figure it out because they know there's a business model in there to be had whether it's advertising based or whatever it is, and they all want to be in the game. This is the big battle ground. This is going to be trains colliding." Indeed, each of the sponsoring companies has content that can be used in other people's mashups. Data from eBay and Google, for example, are both used in markovic.com mashup that lets you plot ebay items on a Google map. Google, eBay, Amazon, Yahoo, Google, Microsoft and others not only allow mashups but make them easier by publishing "API's" (application program interface) to enable mashup developers to more easily tap into their databases. Mashups are a good example of what some Internet insiders are calling "Web 2.0," a relatively undefined term that sort of means something like the Web serving as a platform with sites that take advantage of –- among other things -- user supplied content. Whatever it means it's all about recognizing that being a Web entrepreneur is once again not only socially acceptable but bankable –- yep –- "VCs" (venture capitalists) are once again showing up at Internet conferences looking for new ideas. If you're looking for mashups, the best place to find them is at programmableweb.com which currently lists 453 mashups, 50 of which are classifies as "popular." One of the popular sites is LivePlasma.com which lets you "look for your favorite bands, movies or directors to obtain a map that details other potential interests." Type in Rod Stewart for example and a map will pop up that includes "nearby" artists such as Neil Young, Bob Dylan and you find something you like that can be bought. The site links you directly to the appropriate page on Amazon so you can buy it with a commission, of course, going to the guy who runs LivePlasma. Fair enough. One of the most interesting mashups I discovered at the conference is Podbop.org that links mp3 files from independent artist Web sites to local concerts and other events. Founder Taylor McKnight says it mashes up data from Eventful.com (an events database) with his own database of MP3s and artists "so you can type in any city in the world into Podbop and it will give you a feed of bands playing in your area along with MP3s of those bands to help you discover new music." Folks at the mashup camp were impressed enough by McNight's site to crown it best of show. A number of mashups help people figure out where criminals hang out and how to avoid them. ChicagoCrime.org, which came in second place at Mashup camp, plots data from the Chicago Police Department on a Google Map allowing you to browse crimes by type, street, address, time or zip code. "You can even draw a line on the map and it will show you all the crimes that happened around that line," according to the site's founder, Adrian Holovaty.